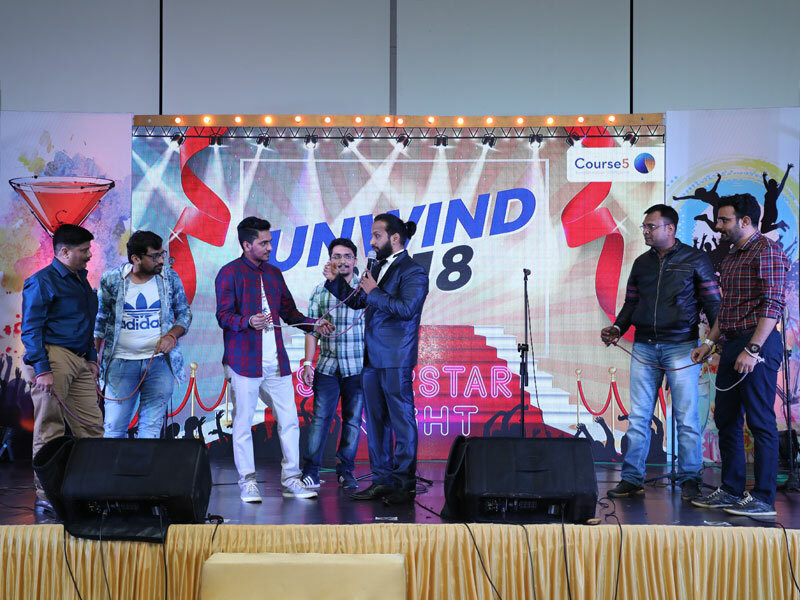 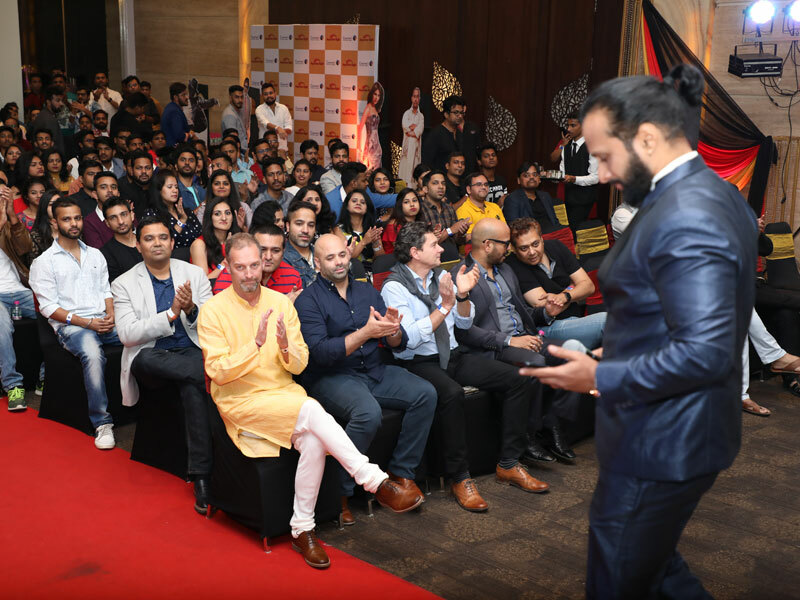 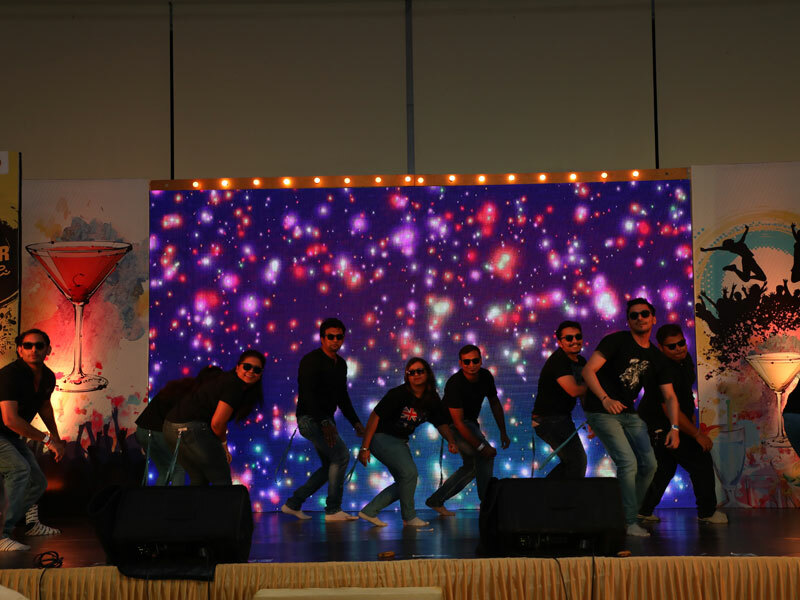 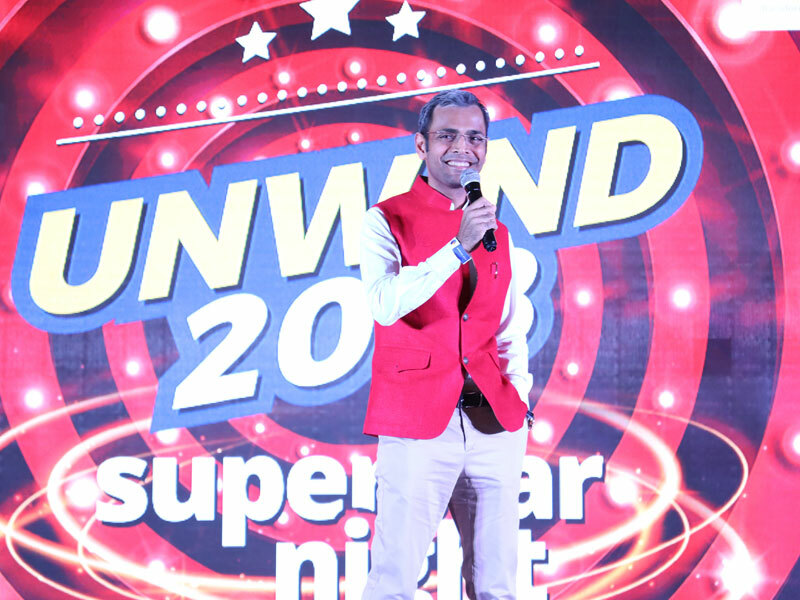 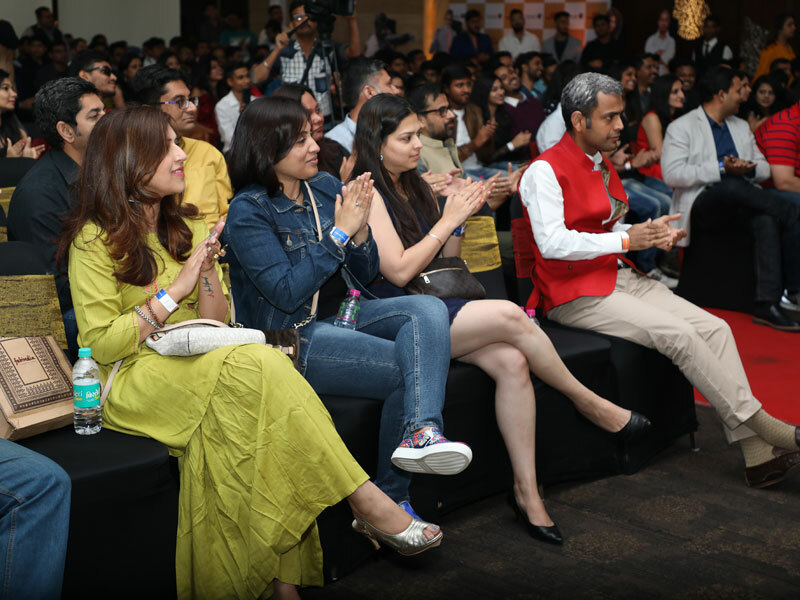 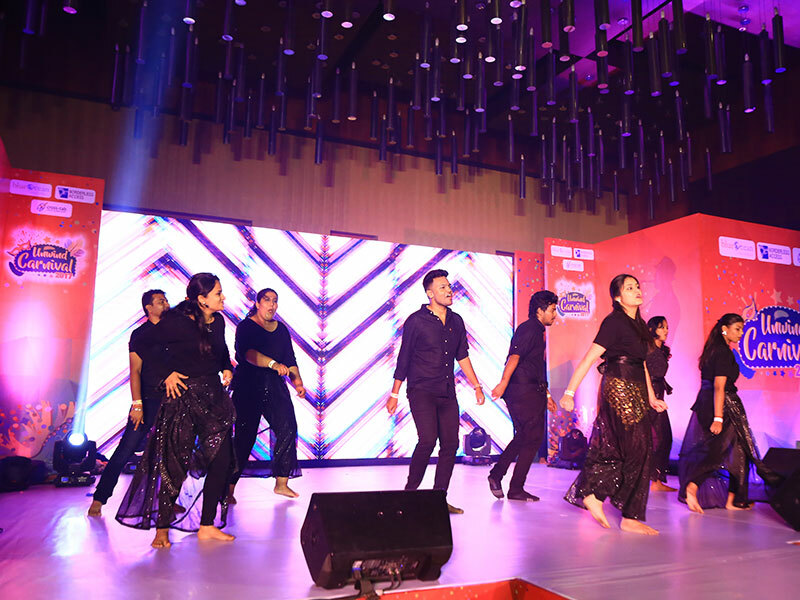 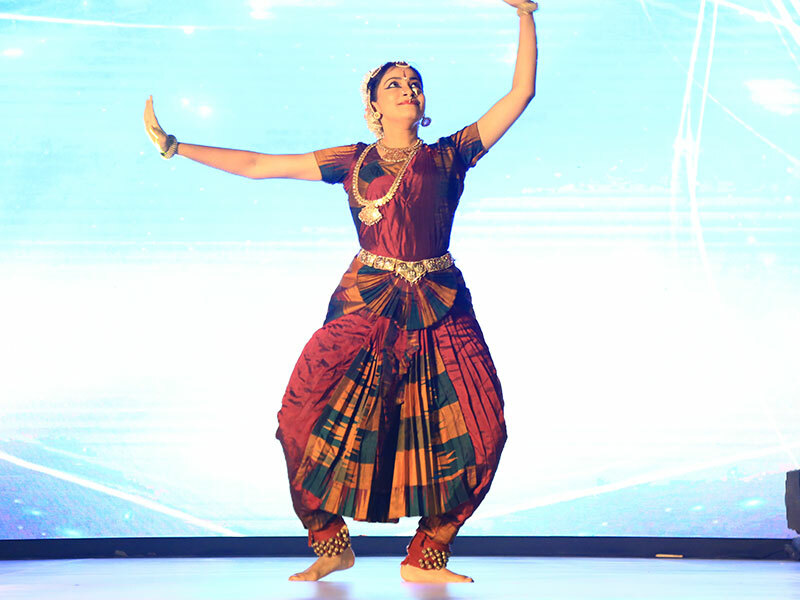 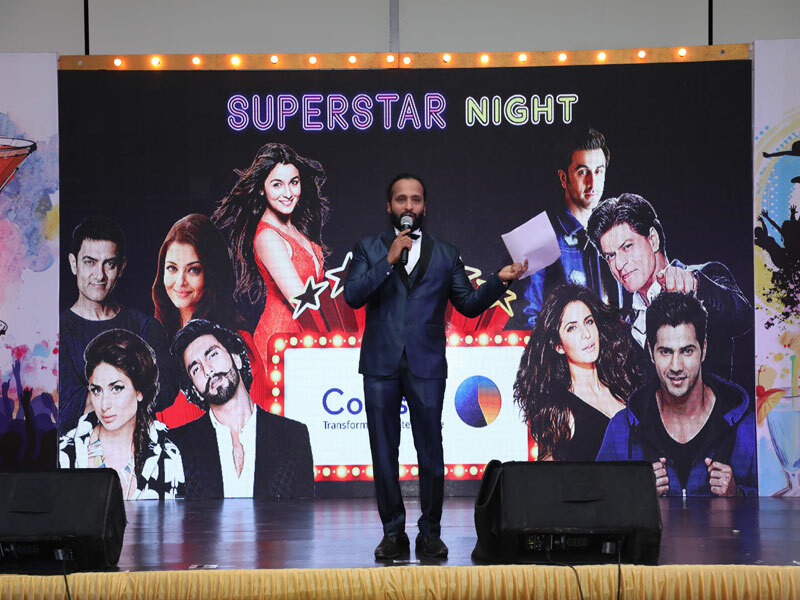 Course5’s annual event Unwind is a time when employees let down their hair and bring out hidden talents as they sing, dance, and participate in planned and impromptu performances. 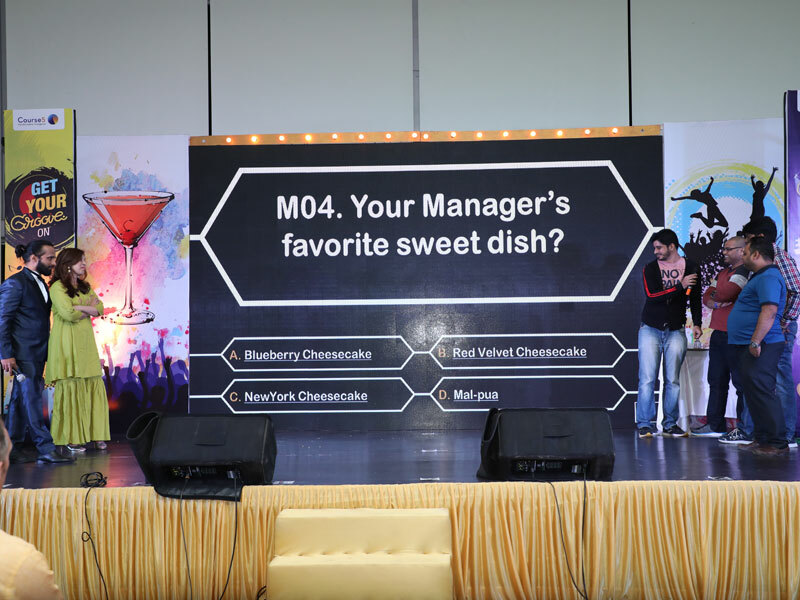 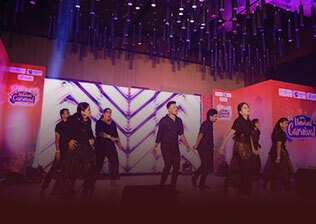 Top performers across the organization are feted through Course5’s Awards & Recognition program. 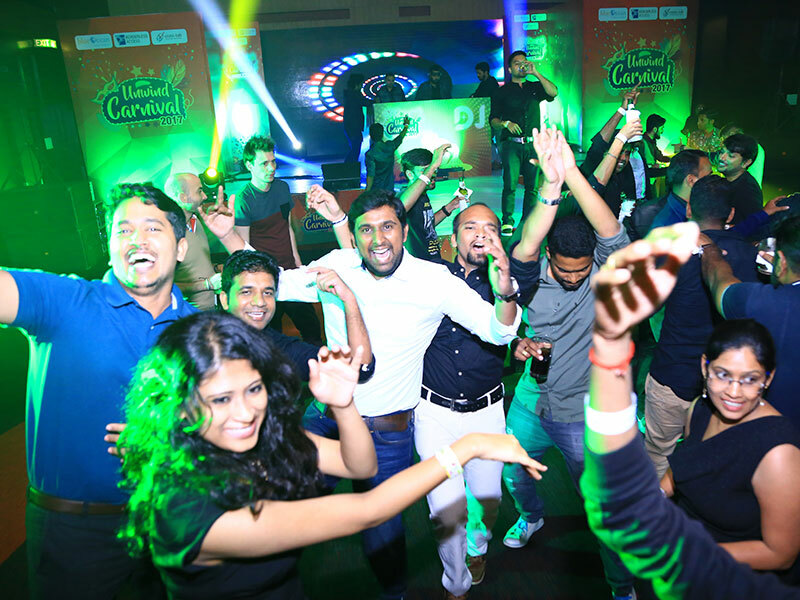 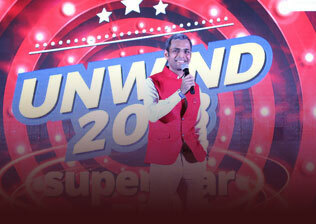 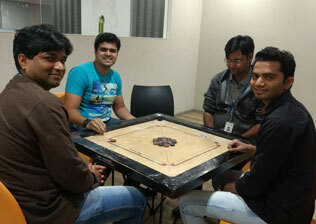 With fun, food, and laughter, the event ends with high spirits and grins that last a year. 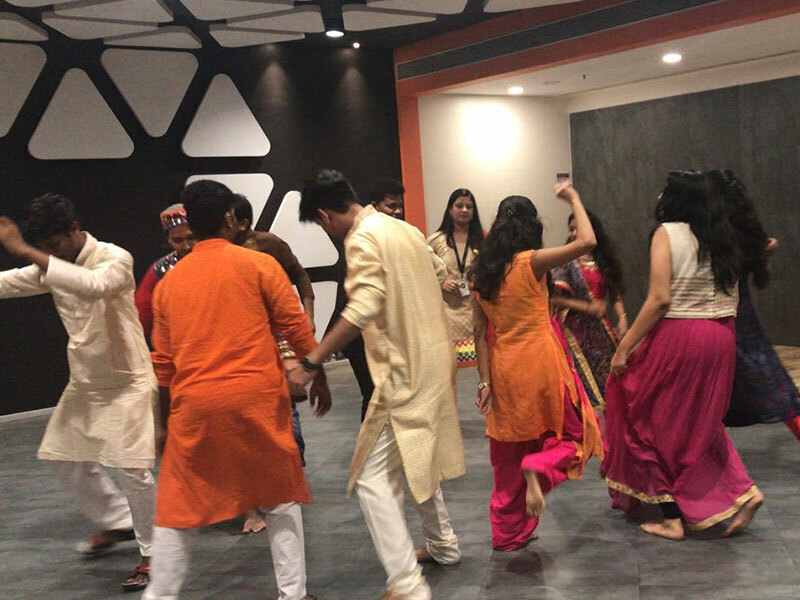 Course5 celebrates its workforce diversity and respects the social, religious, and cultural backgrounds of all its employees. 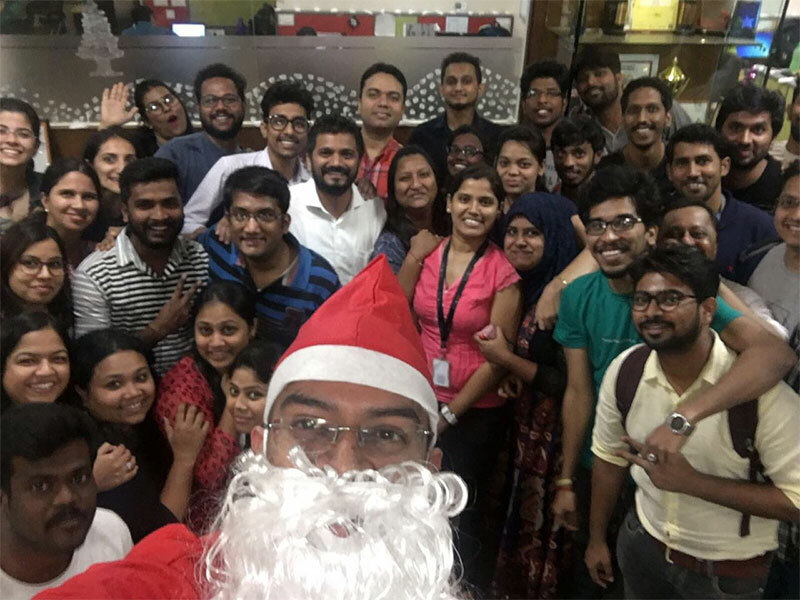 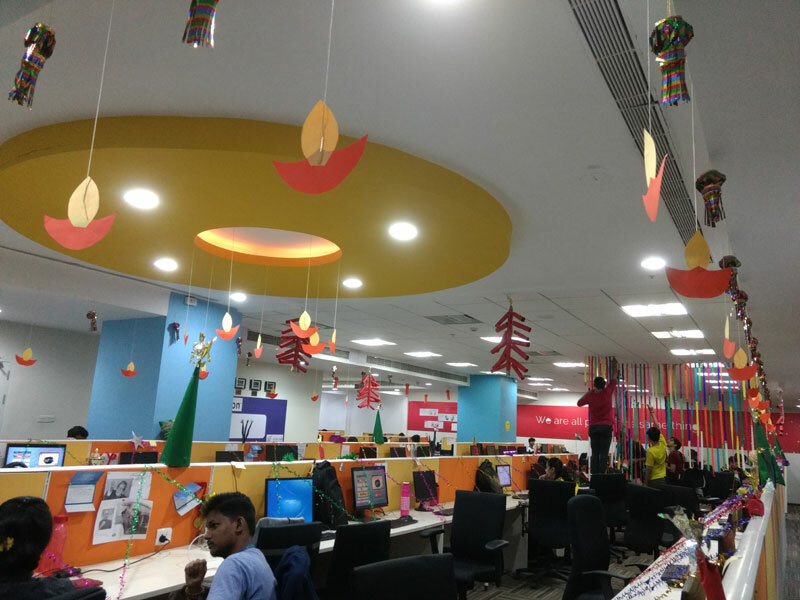 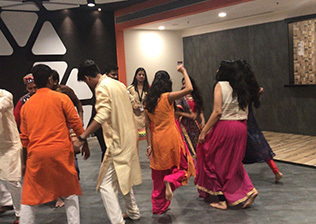 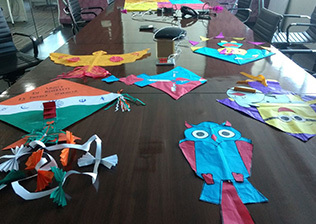 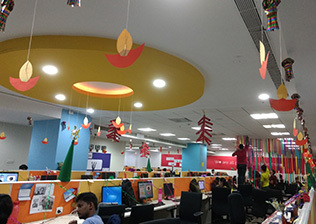 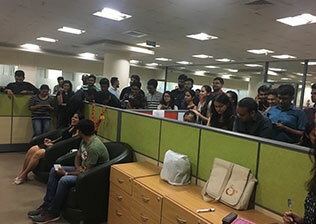 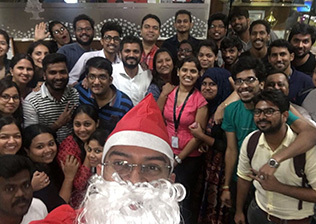 A variety of festivals like Diwali, Christmas, Navaratri, and Thanksgiving Day are celebrated in our offices worldwide. 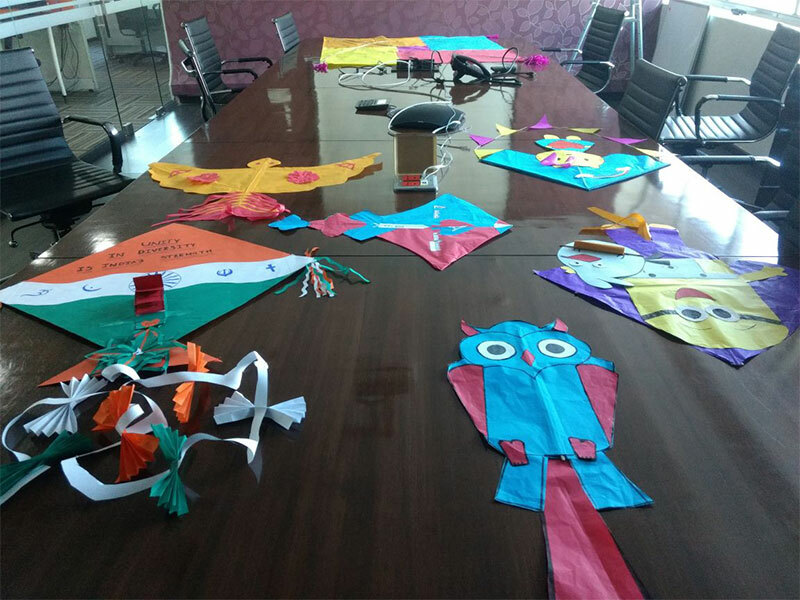 These festivities build camaraderie outside of work, encourage cultural integration, and make Course5 a fun place to work. 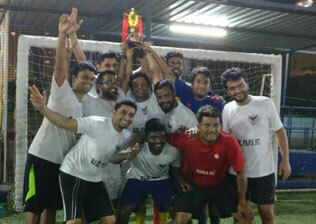 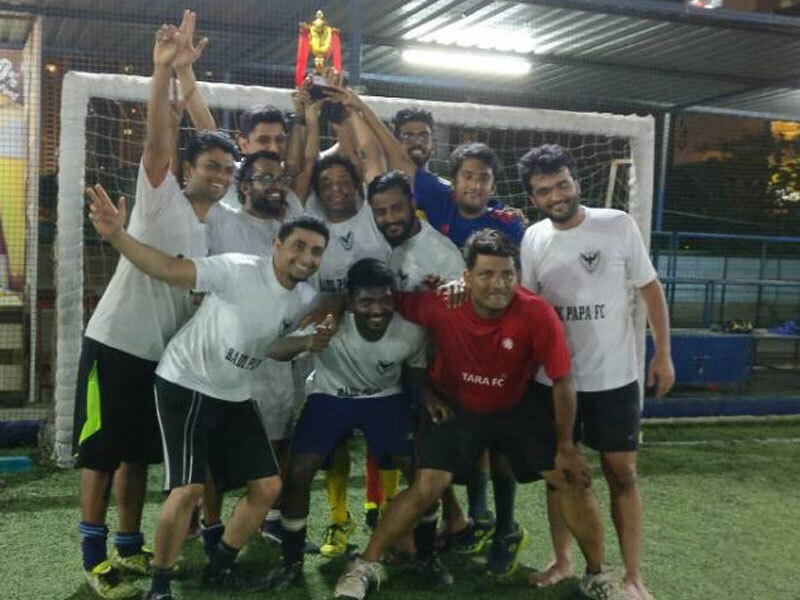 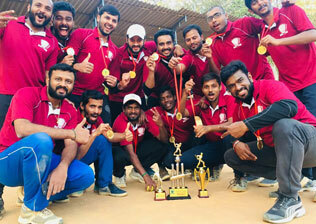 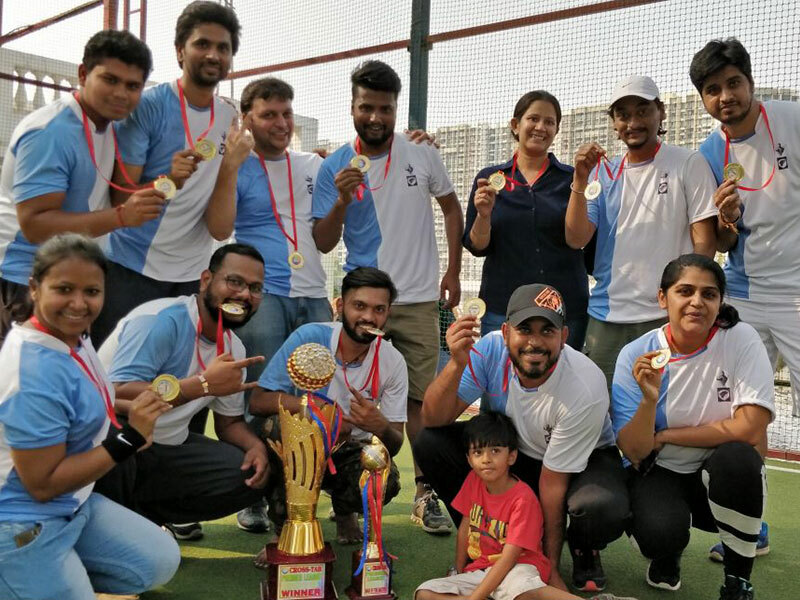 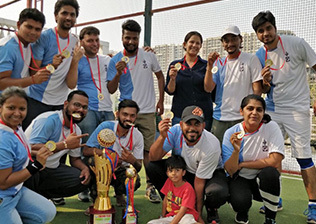 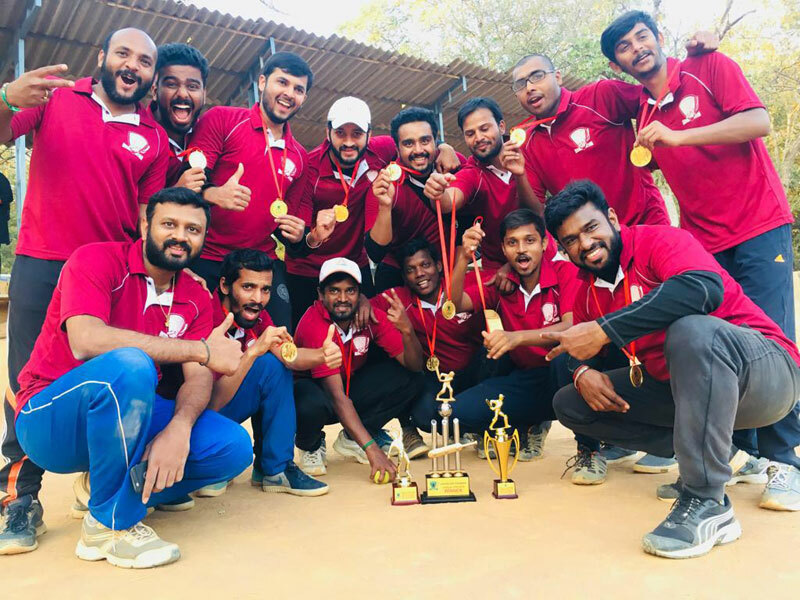 Varied sporting events organized for employees round the year promote sportsmanship, friendly competition, and an opportunity to showcase individual talents in the field of sport. 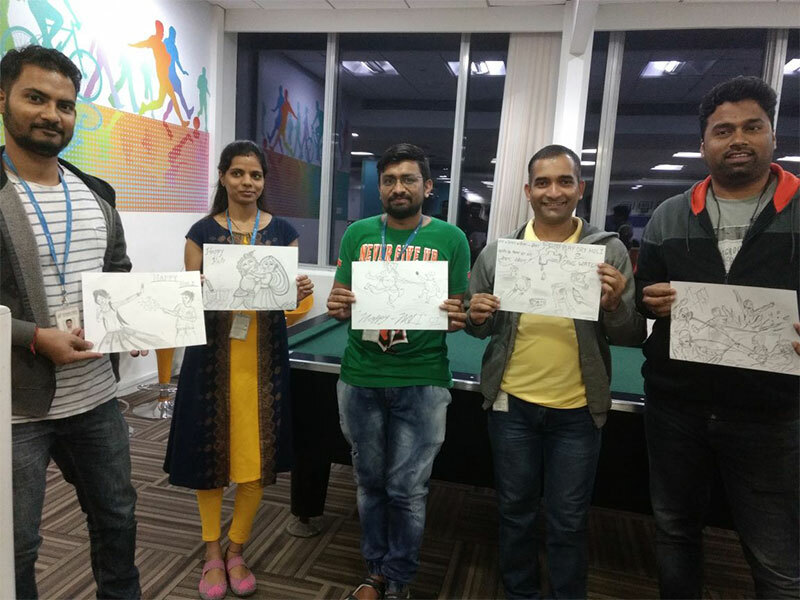 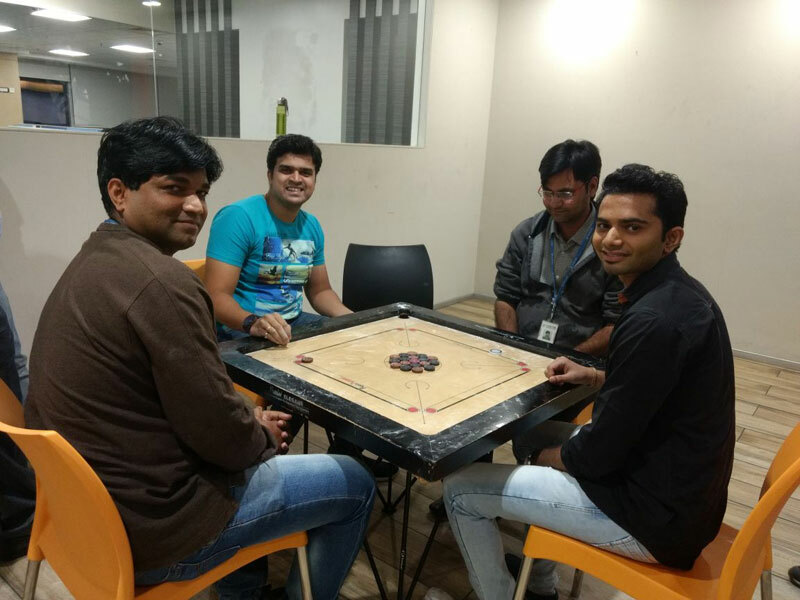 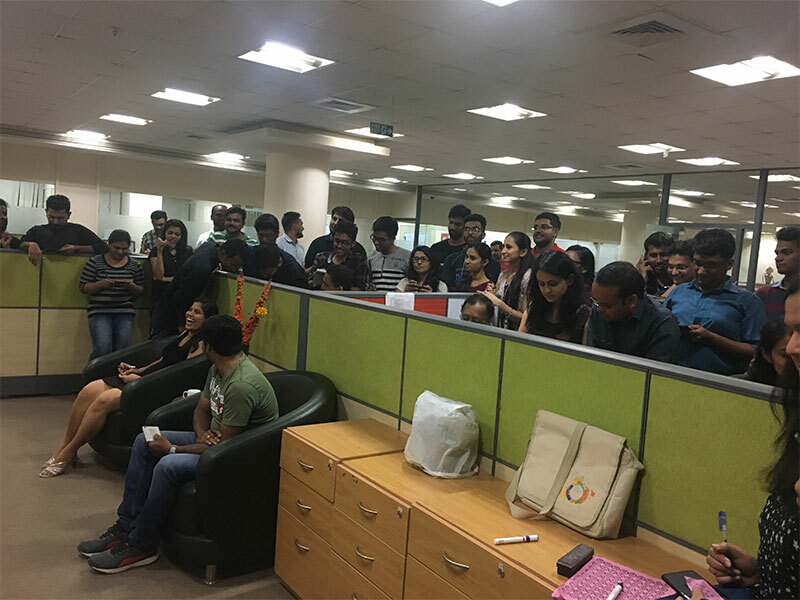 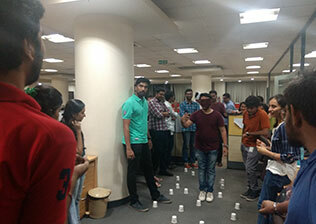 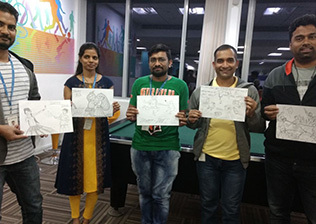 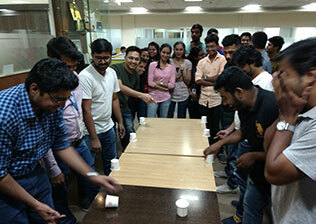 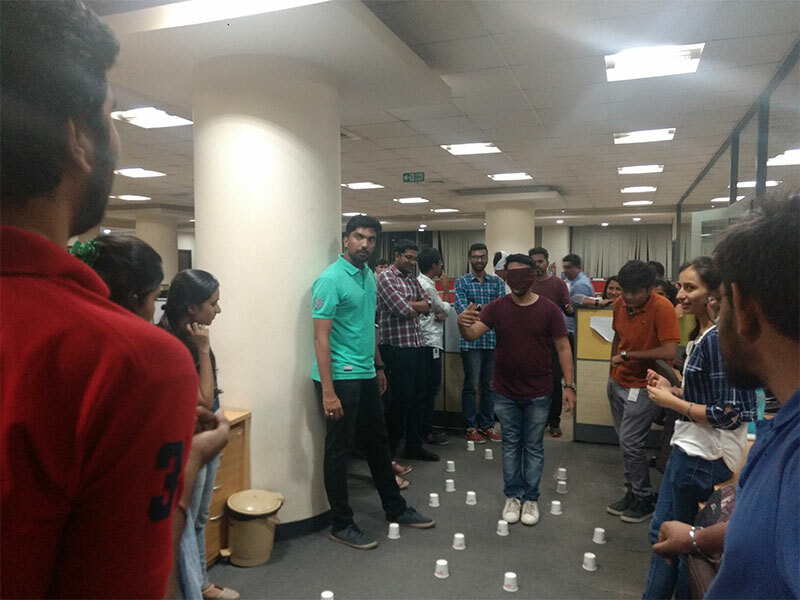 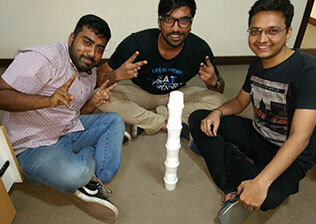 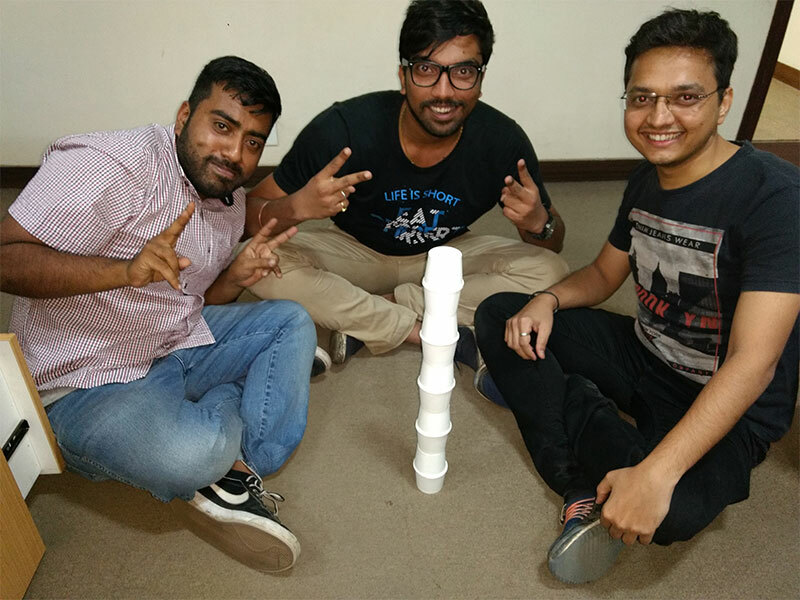 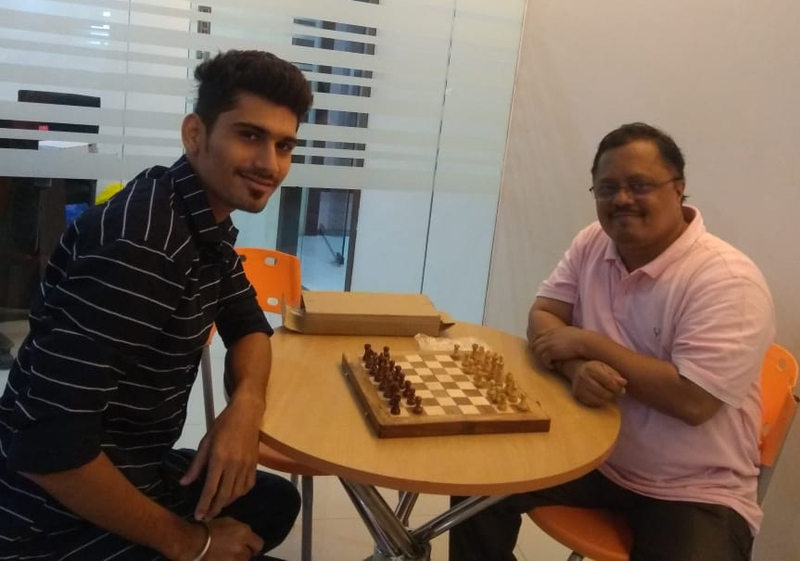 Breakout games and fun activities refresh and rejuvenate employees, inspiring fresh perspectives and inventive approaches to work and personal life. 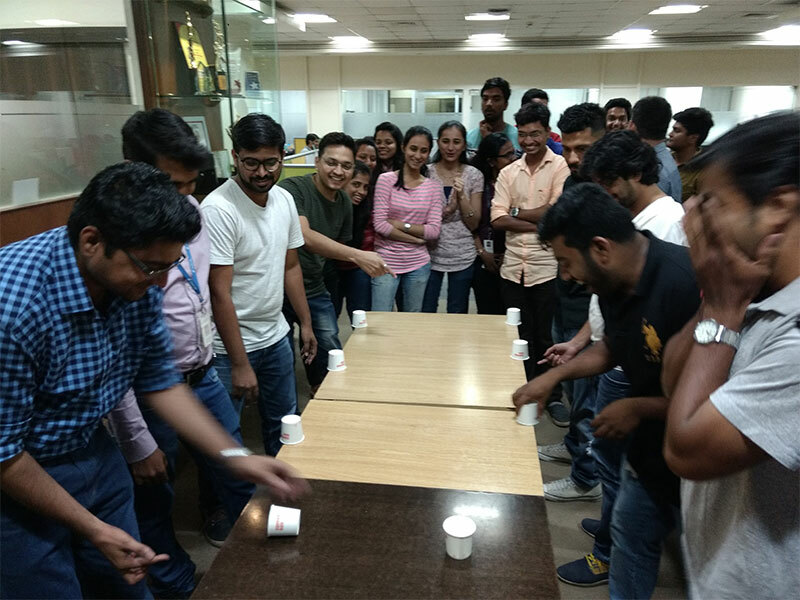 Employees bond with each and see a different side of their colleagues at these events. 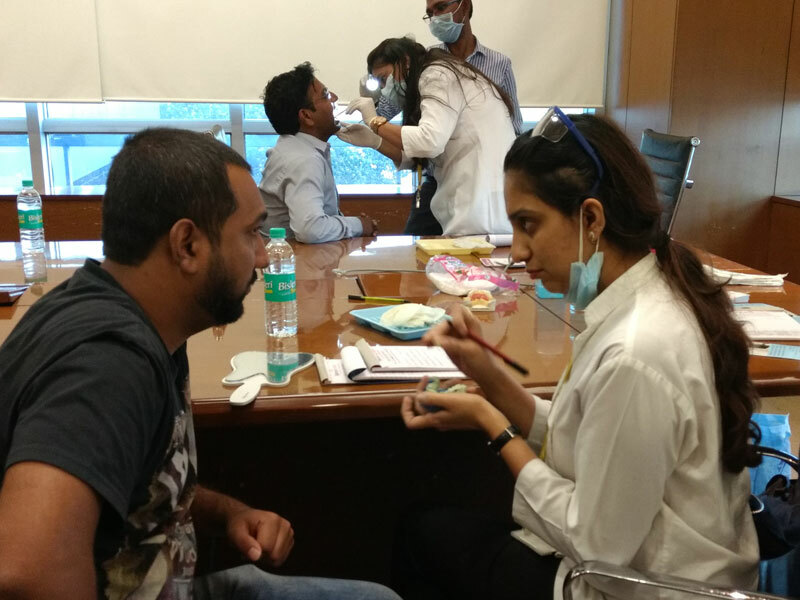 Course5 conducts periodic health check camps and topical seminars at regular intervals for its employees. 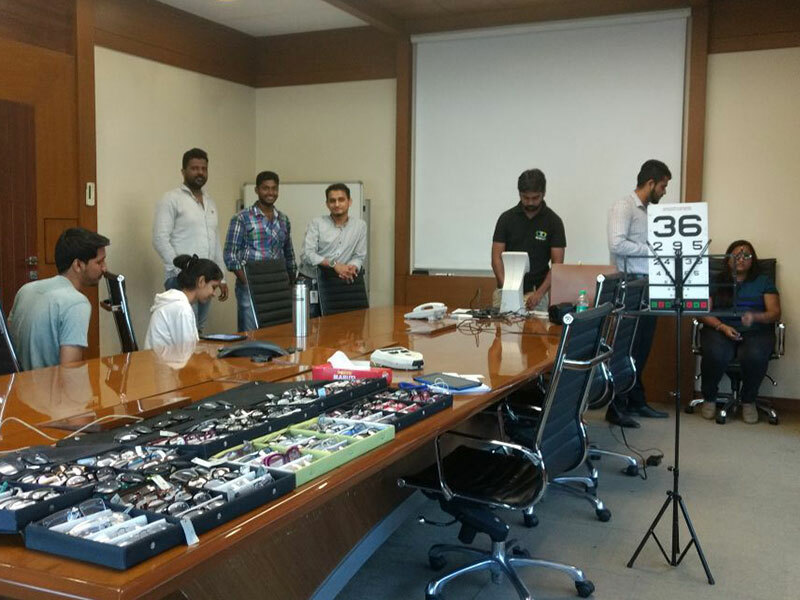 We conducted a Leadership Development Program with an aim to drive Alignment, Trust and Collaboration for collective success. 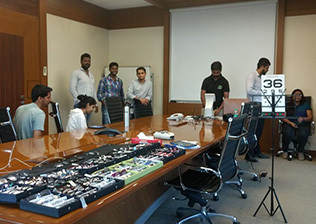 It covered 14 of our leaders from DAA & MI BU and was conducted in Bangalore recently. 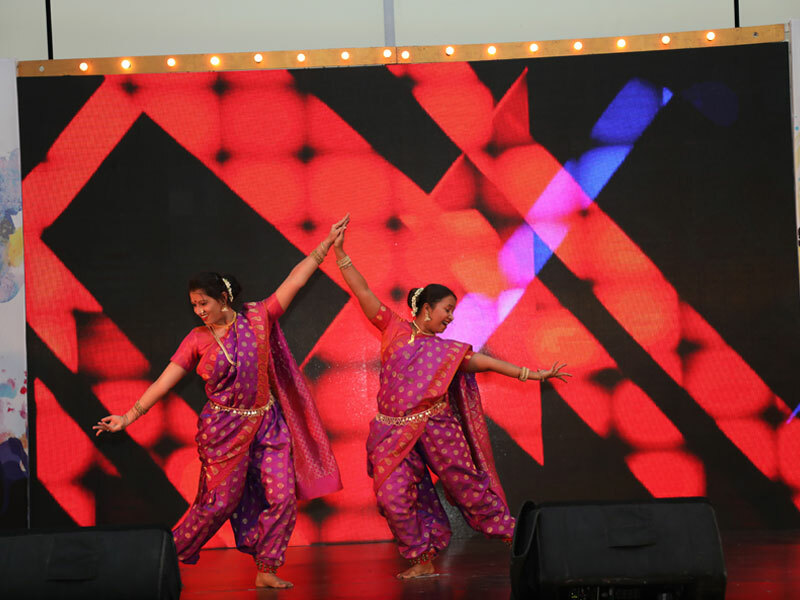 Learning’s were driven via Theatre, Drama, Dance, Meditation, Laughter and various self-reflection & group learning interventions.